Horizontal banks of tall double-hung windows across the front of the home allow natural light to illuminate the four-bedroom, three and one-half bath Munger Place Historic District home. The front porch roof shields the home from the harsh midday sun. The wide, three-foot eaves that are another architectural signature of Munger Place further protect the interior from direct afternoon sun. 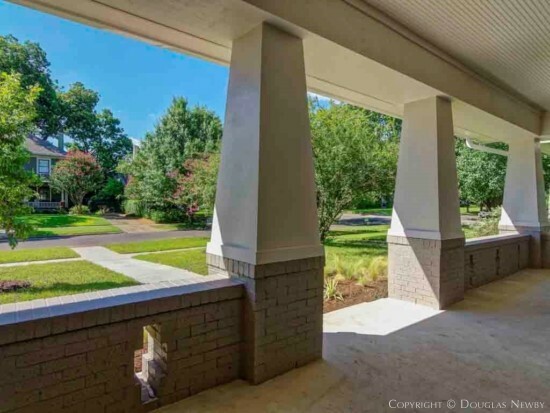 The wide and deep front porch contributes to the architectural continuity of the historic district and provides another living space for family or another space to entertain visiting friends or neighbors. For over 35 years the new Munger Place homes designed to reflect the original historic design have been the most desired. Well known real estate attorney and art collector John Reoch expressed this notion best and commented after he purchased the first new home to be built after the historic designation of Munger Place. He said he was moving from a home built in the mid-1800s in Philadelphia, the style of the homes and the neighborhood was the appeal, not the age of the early 1900s Munger Place homes. Rather than an awkward renovation where most of the original home is replaced, he prefers the design where the construction is new and the space accommodates his life today. Adrian Hall, the former director of the Dallas Theater Center, thought the same. He came from a home built in the 1700s in Providence, Rhode Island, and preferred a new home in the Munger Place Historic District. 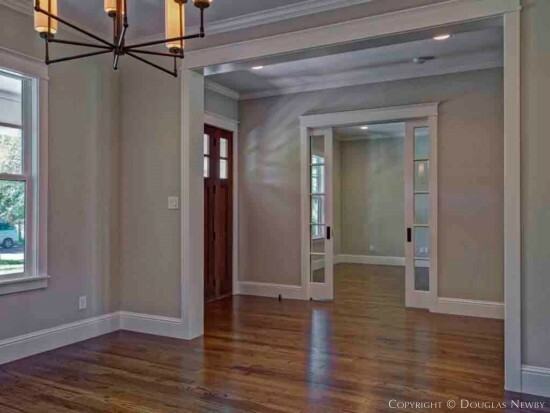 Who would think this is a new home when one looks at the exquisite layering of historic detail and the double and triple passageways that connect these ample rooms. The 10’ ceilings and generous space allows an abundance of cabinets that reflect the era of the neighborhood and historic design. 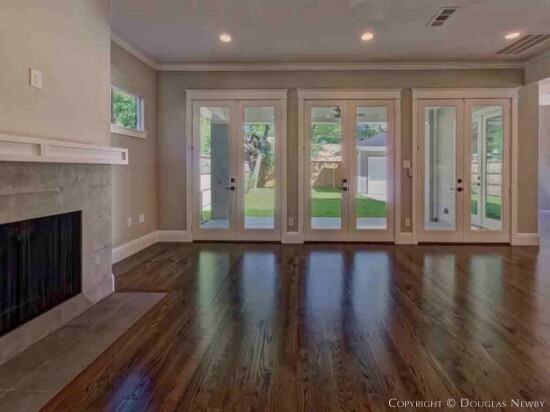 Hardwood floors continue the flow of open and well connected spaces. The granite, tile and color palette is clean and fresh, allowing the green surroundings to permeate the home. This historic-designed home provides four bedrooms and three and one-half bathrooms, large closets, an open kitchen, and two-car garage. This Munger Place Historic District home also exudes the grace and prominence of the original Munger Place homes, the finest residence park in the Southland, when Munger Place was first developed. 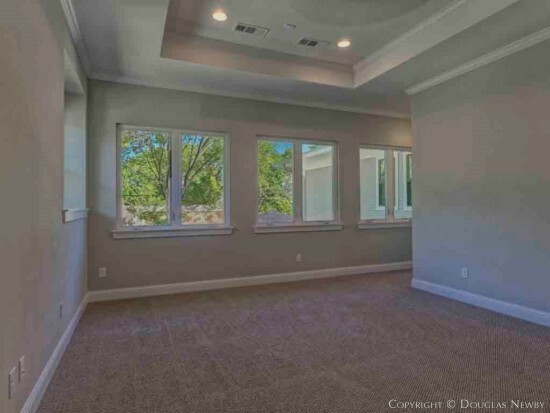 Large formal rooms with tall ceilings and enormous windows create an elegance and the wide open passages remind us that the early 20th century Prairie-style inspired homes were the modern equivalent in 1905 as midcentury moderns were in 1955. Sunlight pours in from several directions in this home that exudes substance and grace. 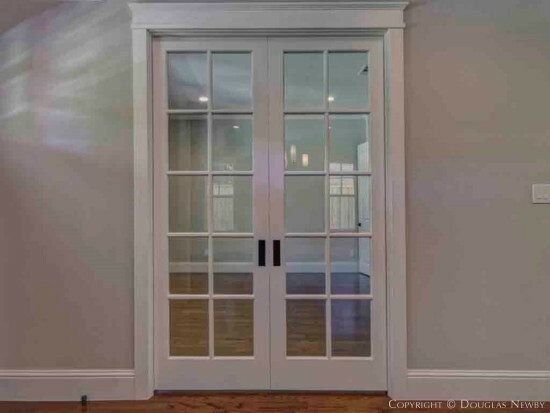 Pocket doors can create a more defined space and still maintain the open feel of the home. 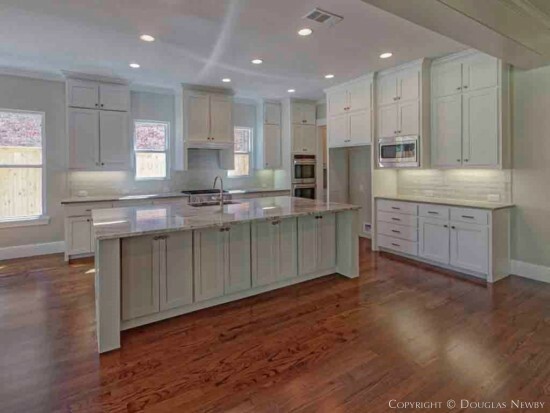 The sunlit kitchen is open to the large, informal room surrounded by windows and floor to ceiling glass doors that open to the rear porch, extending the enjoyment of these more casual and central living areas. 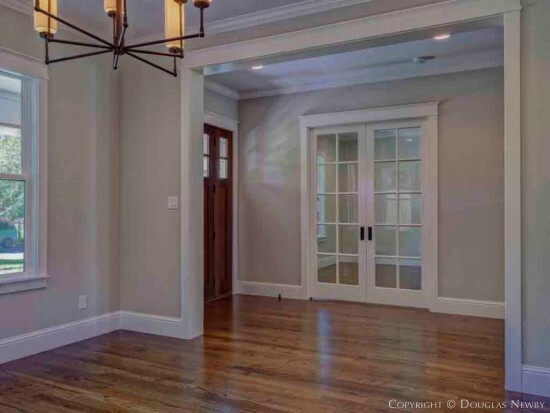 Many of the interior elements that people love about early 20th century homes are found in this home: ten-foot ceilings, hardwood floors, large double-hung windows and wide front and rear porches relating to the single-family homes in the neighborhood. 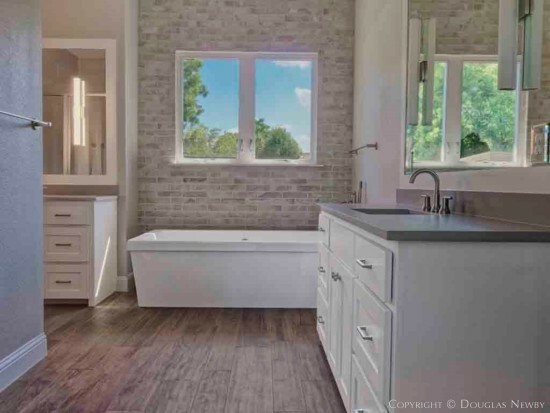 Granite, tile and stylish bathrooms and kitchen fixtures create a clean finish accentuated by the Munger Place style and molding. This is a home that will look equally appealing with modern or traditional furniture. The master bedroom is large and has a wall of windows that looks out at the backyard and backdrop of trees and blue sky. These advantageous views are a result of the single-family home located behind 4946 Victor. It is an original one-story commercial building that has been converted to a single-family home that allows you to look over this structure at the blue sky and trees in the distance instead of a two- or three-story garage apartment. From the master bathroom you are also seeing a blue sky over the low two-story apartment building rather than into a three-story home. The master bedroom provides relaxed luxury and a design compatibility that stays consistent with the home. 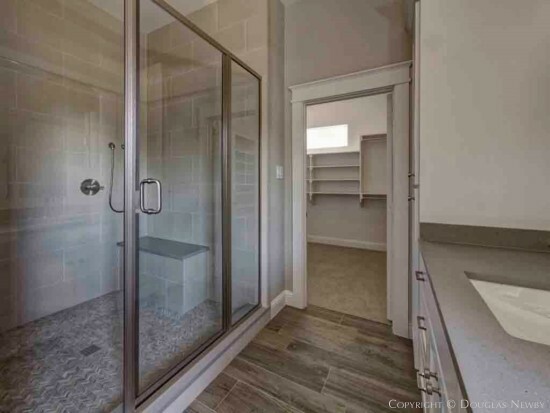 A large, free-standing bath tub, a large walk-in shower and large closet are not easily found in Munger Place homes, but are always appreciated and enjoyed. Munger Place is a classic front porch neighborhood where the neighbors know each other, have porch parties and routinely have a chance to say hello as they are biking to White Rock Lake or strolling through the neighborhood. While a front porch does not count in the square footage of a home, it certainly counts as space that you will enjoy every day. 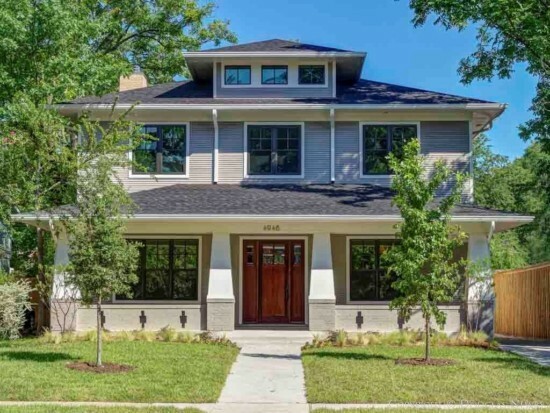 Looking across at the renovated historic Munger Place homes and down the street lined with tall and ornamental trees, it makes it hard to imagine you are only 20 blocks from the Arts District. Located in the heart of Munger Place Historic District, on three sides of this home are restored single-family homes. On the side of the home where the two-car garage is located is a low two-story multi-family structure. While the density on this side of the home is higher, the lower height of the building provides the advantage of being able to look over the neighboring roof at the blue sky rather than into the third floor of another Munger Place single-family home. Few Old East Dallas neighborhood lots have room for a 3,500 square foot home, a two-car garage and nice backyard. In the tradition of Munger Place homes, the home at 4946 Victor integrates the exterior and interior spaces. 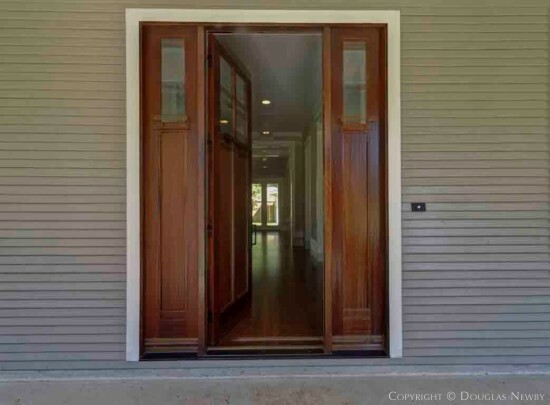 A wall of three tall double glass doors makes the transition to the rear porch and backyard inviting and easy. Maybe the greatest advantage of the new construction of this Munger Place home is the pier and floating beam foundation. While most Munger Place homes were originally propped up with bois d’arc piers that were maybe later replaced with a concrete pads and concrete piers, this home has piers approximately 12 feet deep, supporting a floating beam that is not affected by the swelling and shrinkage of the earth that is so prevalent in Dallas. Also, the home has double-pane windows, built-in screens, energy efficient air and heat and a radiant barrier under the roof. In fact, it has a green certificate from the City of Dallas! The protected ribbon of green space connecting the front yards of the Munger Place Historic District homes extends a sense of nature and neighborhood. The towering 100-year old trees provide filtered sunlight, shade and an elegant framing of these two-story homes. Munger Place has always been an attractive location in relationship to the best things in Dallas, even more so now. 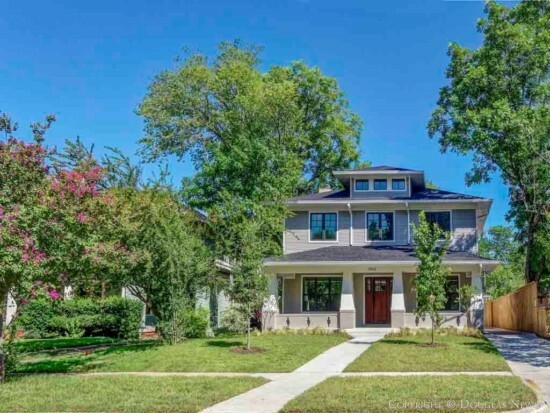 Munger Place is only 12 minutes from SMU, 2 miles from the Arts District, 5 blocks from the Santa Fe Trail that leads to White Rock Lake, walking distance to Lakewood Shopping Center, Lower Greenville, and the shops and restaurants on Henderson Avenue. 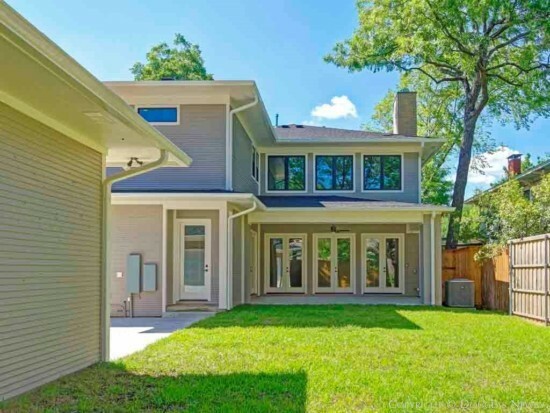 The private schools in Preston Hollow are only 25 minutes away and, of course, the private and public schools in Lakewood and Old East Dallas are just minutes away. The tree-lined streets and friendly front porch atmosphere disguise Munger Place which is really a downtown neighborhood just 20 blocks from the central business district. 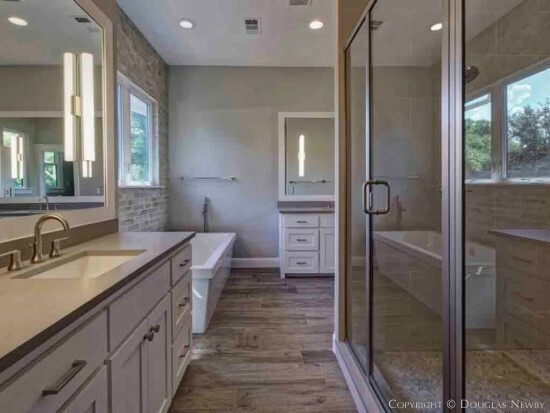 This home represents a great value in relationship to other homes in East Dallas and Lakewood neighborhoods and also in terms of operating expenses. Once you speak to your insurance agent about the comparable cost of insuring this home versus a 100-year old renovated home, and compare the savings and utility bills, you should discover your monthly cost is less than a much lower priced renovated home. 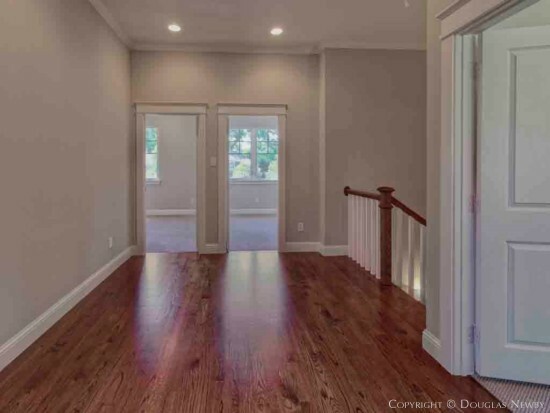 The landing hall that separates the four bedrooms is large enough to be a room in itself. This floor plan gives the bedrooms greater privacy and each bedroom many windows. Through the front door is a proper receiving area that immediately opens to linked rooms that are more open than one finds in most modern homes. 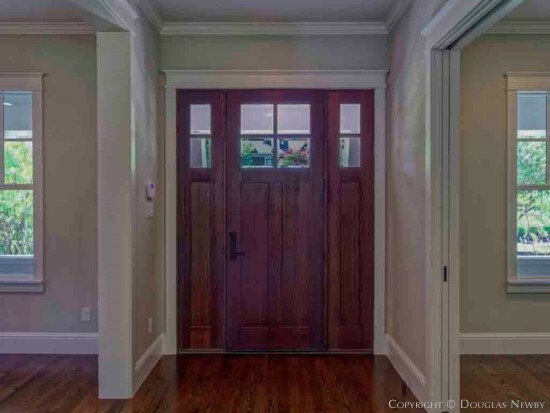 Even from the first step from the front porch into the home, you will be looking through the home to the rear covered porch, and seeing sunlight from both sides of the home. From the kitchen you can see sunlight in four different directions and remarkably see three corners of the home. 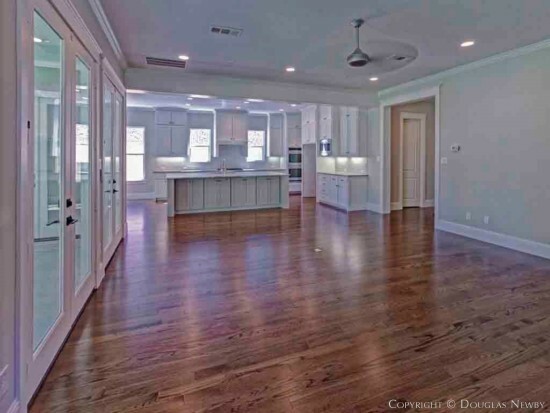 The sleekness of the granite island, tile backsplashes, and countertops is balanced by the warmth of hardwood floors and wood burning fireplace. Please contact Douglas Newby for more information on Munger Place and this new home in the historic district.